It has been a while since my last post and every day since has been no less than a whirlwind. 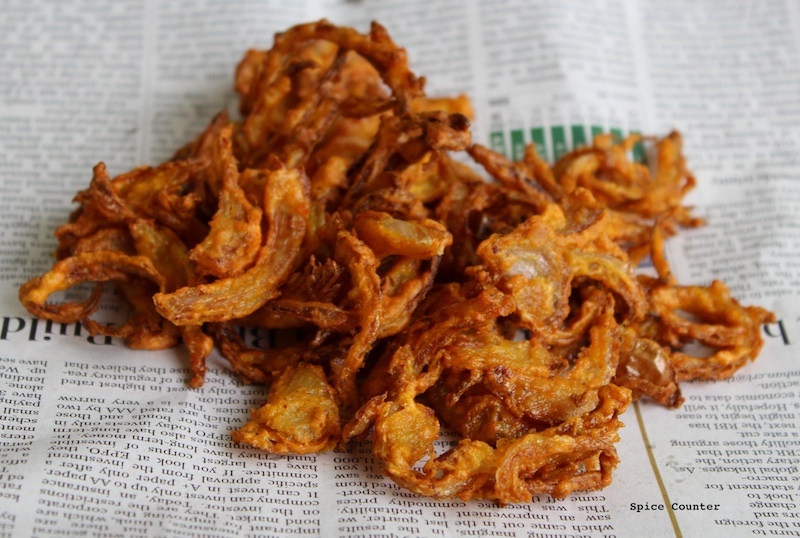 I decided to make Pakoda Kadi as a comeback dish for my blog. 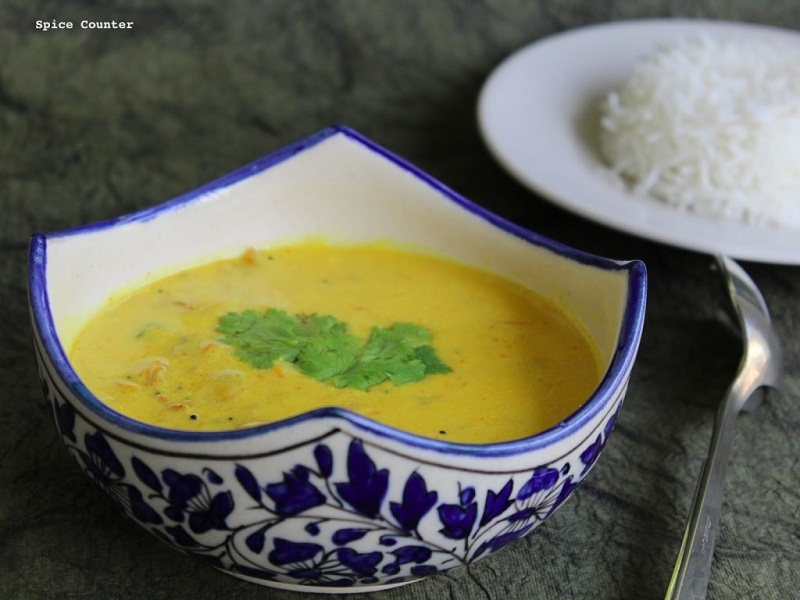 Pakoda Kadi, a north Indian delicacy, is a yogurt based curry with onion fritters. I was never a fan of yogurt based curries till recently when my aunt forced me to try the Kadi she had made. I puckered up my face expecting a sour dish but to my surprise it just melted in my mouth. I have made it twice since and each time I find that I love the dish more. A savoury yogurt based gravy. The South Indian version of Pakoda Kadi is called Mor Kuzhambu. Mix chickpea flour, the dry powders, salt, onions and water. Ensure that the batter coats the onions very lightly. Whisk yogurt, chickpea flour, the dry powders, salt and water till the mixture is smooth. Pour this mixture into a pan and place it on medium flame. The kadi will start thickening. Add the pakodas to the kadi and boil for 5-6 minutes. Set the kadi aside. Heat ghee (clarified butter) in a small pan. Add mustard seeds, cumin seeds & fenugreek seeds. Once it pops add it to the kadi. Garnish it with chopped coriander and serve hot with rice!! In this version of Pakoda Kadi, the pakodas are made slightly differently from the way it is usually made. Usually baking soda is added to make the pakodas fluffier. Add water if it gets too thick. I like it runny so i add a lot of water to the kadi.